A book by Dr. Lucy Curzon, associate professor of art history, has received the Historians of British Artist Book Award for Exemplary Scholarship on the Period after 1800. 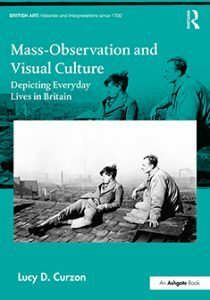 The book is “Mass-Observation and Visual Culture: Depicting Everyday Lives in Britain” (Routledge, 2017). The book critically analyzes the role that visual culture played in the early development of the innovative British anthropological research group founded in 1937. Assistant Professor of art history Dr. Jennifer M. Feltman published an article, “The Last Judgement Porch at Lincoln Cathedral Over the Longue Durée: Iconography, Interaction, and Religious Thought,” in Devotional Interaction in Medieval Britain and its Afterlives, edited by Elisa A. Foster, Julia Perratorre, and Steven Rosenski. Leiden: Brill, 2018, pp.103-126. Assistant Professor of art Matt Mitros was invited to show his art work in the exhibition, A Southern Table, Mason-Scharfenstein Museum of Art, Demorest, GA.
Mitros‘ work, along with a work by Instructor Wade MacDonald, was accepted into the juried exhibition, Small Favors XIII, at the Clay Studio in Philadelphia, PA. 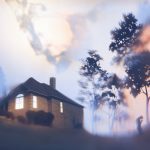 Associate Professor of art Pete Schulte‘s artwork was included in Spring/Break Art Show: Frontiers, part of the annual Armory Art Show in New York City in early March. 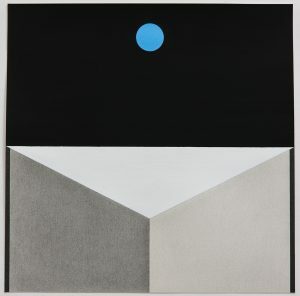 His graphite, gouache and ink drawing on paper titled, “A Letter Edged In Black,” (2017, 15 x 15 inches) was mentioned in the preview article in ArtNews.